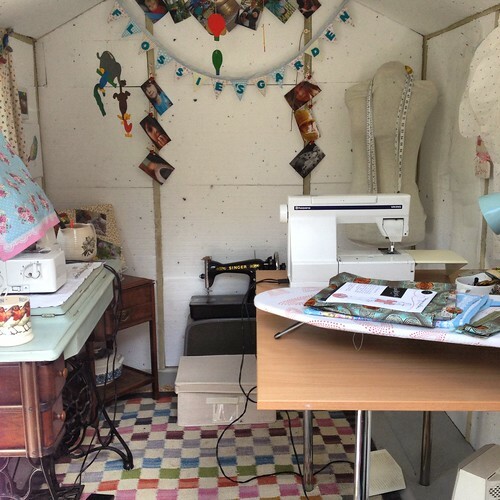 This weekend I gave my sewing shed a bit of a spring clean. It is so lovely out there now the sun is shining. I of course love my shed in all seasons, but having the door open onto the garden and not having to put my heater on makes it that bit more lovely. The lighter mornings and evenings are great too. Some things are best not sewn in my shed, like this First Holy Communion dress made from my friends wedding dress for her daughter. 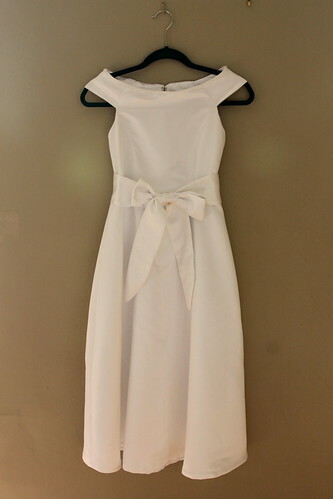 The little girl it was for wanted a simple elegant dress with a sash. I used a pattern from a very old copy of Ottobre, with a few minor alterations. 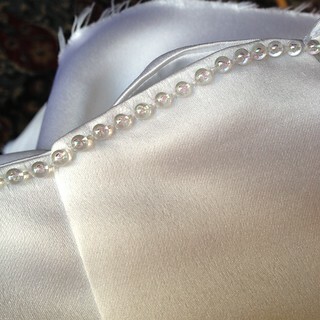 I added a roll of glass beads to the neckline. I got up early one morning last week to sew them on before the children were up. I can tell you having a white dress in the house made me nearly as nervous as cutting in to my friends wedding dress in the first place! 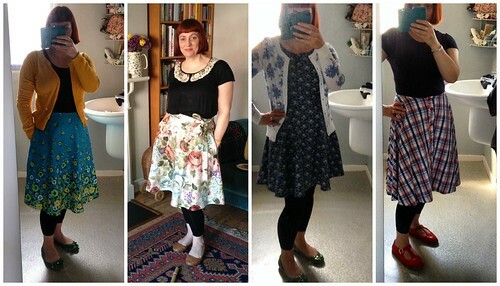 I did manage a little sewing for me this week too. 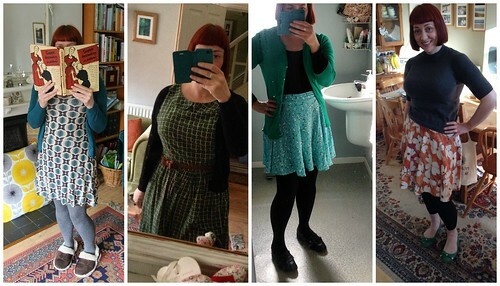 I cut out this dress a few weeks ago and finally got around to stitching it up on Monday. Honestly it's not my best work. The fit isn't quite right on the bodice. I basically fudged it a little while cutting out. Still I do love the fabric and I got a lot of compliments while wearing it, so I guess most people are not looking at it with the same critical eye I am. 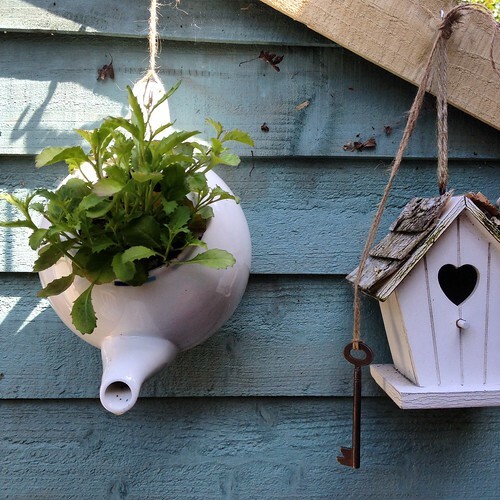 How adorable is your sewing shed? And I love the yellow dress. I do think your critical eye needs to buzz off...it's gorgeous. Aww thank you! I will try to remember to tell my inner critic to buzz off! 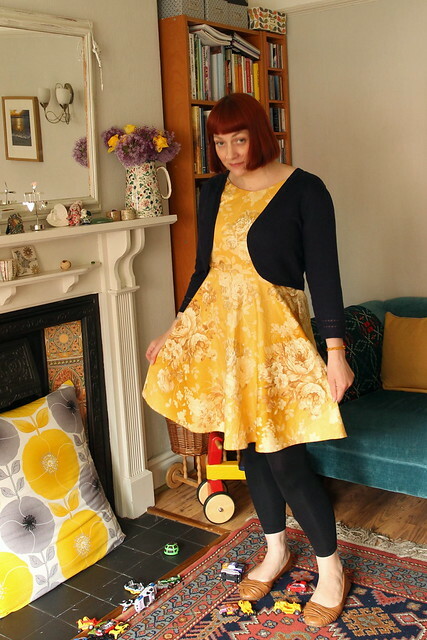 I love the fabric on that yellow dress! and a sewing shed, how fun! I do love my little shed.